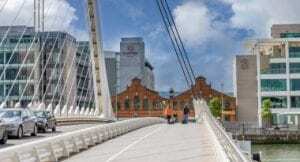 With the Bord Gais Energy Theatre opposite the hotel, Clayton Hotel Cardiff Lane is the perfect encore to any evening. 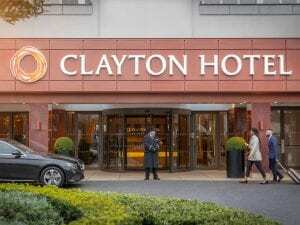 Clayton Hotel Cardiff Lane deserves a standing ovation, with location opposite the Bord Gais Energy Theatre and 3Arena. Seeing a spectacular show is made easy with a stay here. Dublin’s newest and largest theatre can seat over 2000 people on any given show night. Entertaining half a million guests a year, it’s truly a spectacular venue. 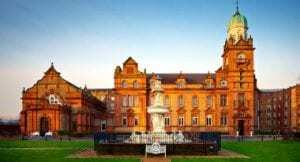 With amazing musicals, ballets, concerts on all year round it’s a location that cannot be missed when visiting Dublin City. Some of the iconic shows that have taken to the stage since the curtains were raised in 2010 have been Wicked, The Lion King, Phantom of The Opera, Elf and of course the well-loved Mary Poppins. 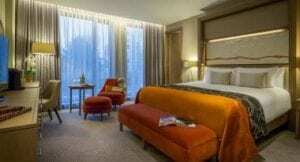 Clayton Hotel Cardiff Lane is an ideal destination to kick start your evening at the theatre. We offer a range of dining options from a quick bite to eat in our bustling bar near Bord Gais or a delicious pre-theatre dinner at our restaurant. If you’re looking for a relaxing atmosphere after the show, our restaurant and bar are the perfect spots to end the night. 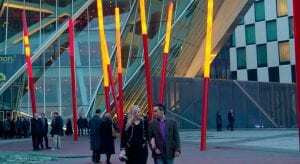 Discover our Bord Gais Energy theatre hotel packages today!